Open up your light ship’s solar sails and join us as we explore a truly unique Deep Space Nine episode, season 3‘s Explorers! 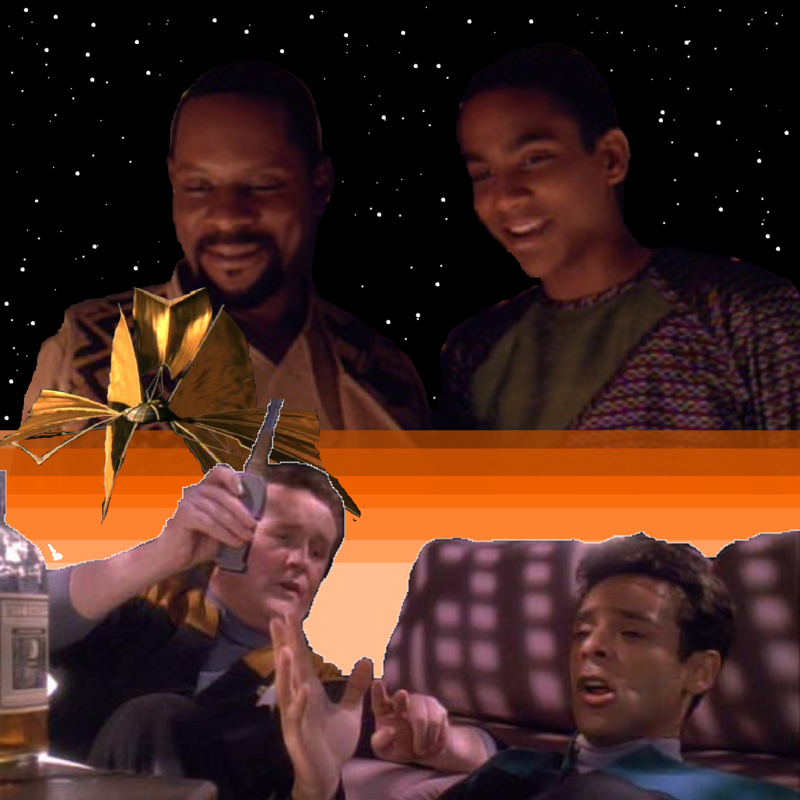 We’re diving deep to discuss two of our favorite relationships in the whole show; Julian and Bashir’s friendship and Jake and Ben Sisko’s loving familial relationship! We’re also bashing Voyager, trying to figure out who the most annoying Star Trek crew members are, chatting about everyone’s favorite Mortal Kombat character and, as always, so much more! Grab yourself a Fenalian hot toddy and enjoy, because you’ll definitely want to skip the synthale for this one!